JULY / AUGUST 2008 -- The Information/Publicity Committee will be judging Publicity Posters at Let’s Celebrate at Good Will on July 26, 2008. This is a new contest this year. Every Subordinate and Junior Grange member is eligible to enter. The rules are very simple. 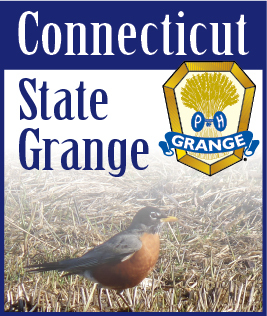 The posters submitted should advertise an event at your Grange, either past or future. The posters can be either hand drawn or computer drawn. Each class will be judged separately. The Classes are: (A) Subordinate Hand Drawn; (B) Subordinate Computer Drawn; (C) Jr. Hand Drawn; (D) Junior Computer Drawn. The Exhibitor should label their entry with their Name, Grange and Class. Each exhibitor may enter one poster in both the Hand Drawn and Computer Drawn Classes. Judging will be at Good Will Grange Hall on Saturday, July 26th. Prize money will be awarded to each Class as follows: 1st Prize - $15.00; 2nd Prize - $10.00; 3rd Prize - $5.00. Entries may be mailed or given to members of the Information/Publicity Committee ahead of time, or may be brought to Good Will Grange Hall between the hours of 9:00 am and 10:00 am on the day of the judging. See you on July 26th.